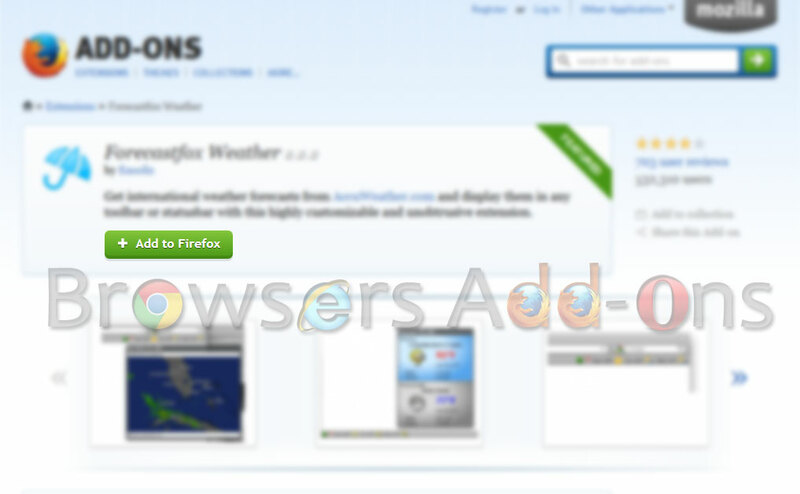 Get Multiple locations Weather Info with Forecastfox Weather Firefox Addon. 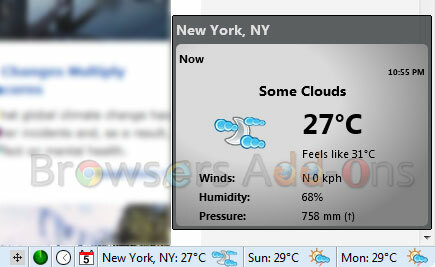 Forecastfox Weather is an add-on for Mozilla Firefox which displays international weather forecast with the help of accuweather. The best thing about forecastfox weather add-on is that it can display multiple locations weather information with time interval. It can be customize and the location of add-on are changeable. 1. Go to Forecastfox Weather Mozilla add-on page, or simply click on the above download link and click on “Add to Firefox“. 2. 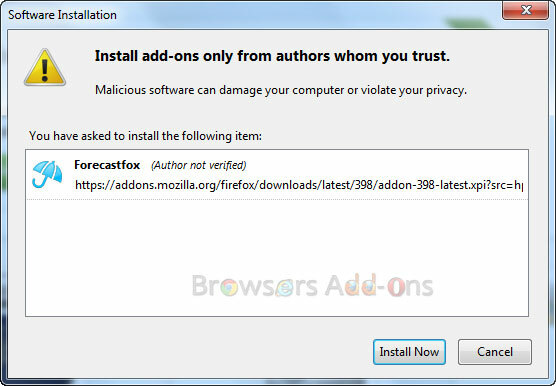 If Mozilla Firefox asks user permission for installation of addon. Click “Allow” to continue installation, leave it to abort. 3. Forecastfox Weather installation box pops-up. Click “Install Now” to continue installing add-on, “Cancel” to abort installation. 4. 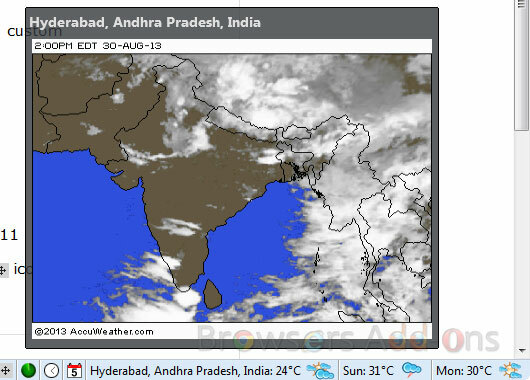 On successful installation, Forecastfox Weather asks user permission to restart the browser. Restart the browser to activate the add-on. 1. On successful installation, you will be redirected to Forecastfox Weather preference page, choose your desired settings. 2. To add multiple locations, enter the place in “Locations” and press enter, and to remove/rename a specific location, hover cursor over that location in “Previous location” tab and you will see remove/rename option. 3. After setting preferences, close the tab, now, you will notice weather forecast in Mozilla Add-ons bar. 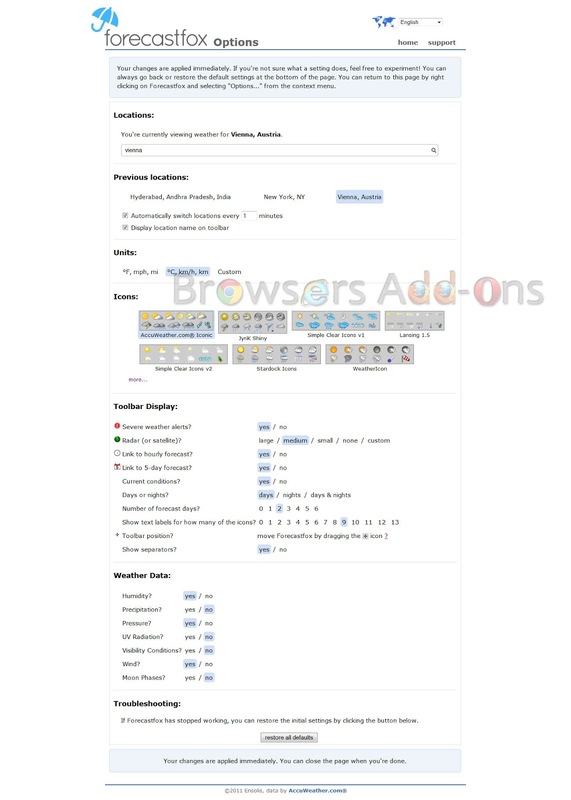 To change the location of the add-on, click on the select (four side direction) icon and drag it to desired location. 4. To access preferences, go to Mozilla Firefox Add-ons Manager, search for “Forecastfox Weather” tab and click on “Options“. 1. Click on the Firefox, located at left upper corner of the web browser and go to “Add-ons”. or press “Alt“, Menu bar pops-up, then go to Tools > Add-ons, or you can simply use shortcut key “Ctrl+Shift+A” to access add-on (extension) manger. 2. Now, click on “Disable” to disable the add-on temporarily or click “Remove” to remove the add-on permanently from the browser. NOTE: Both options require restart for the actions to take effect. Find out who is tracking you in real-time with Collusion, addon for Mozilla Firefox. Find Out Whats New In Mozilla Firefox v 39. Enable Do Not Track request in Google Chrome. Next story Get Google Plus Notification on Chrome with Official Extension. Previous story How To: Replace Google Logo with your Favourite Google Doodle Anytime. Get a quick SEO analysis of websites with RDS Bar extension for Chrome. 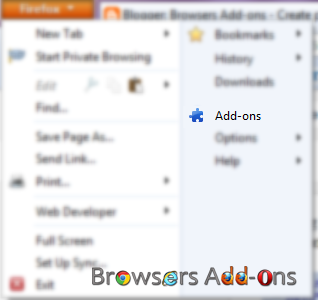 Browse in Private Windows by Default Without Opening New Private Window in Mozilla Firefox. Convert Files to Popular Formats like .Doc .PDF .JPG … Directly from Browsers for Free. Make your Mozilla Firefox Reader Friendly with Reader Addon.